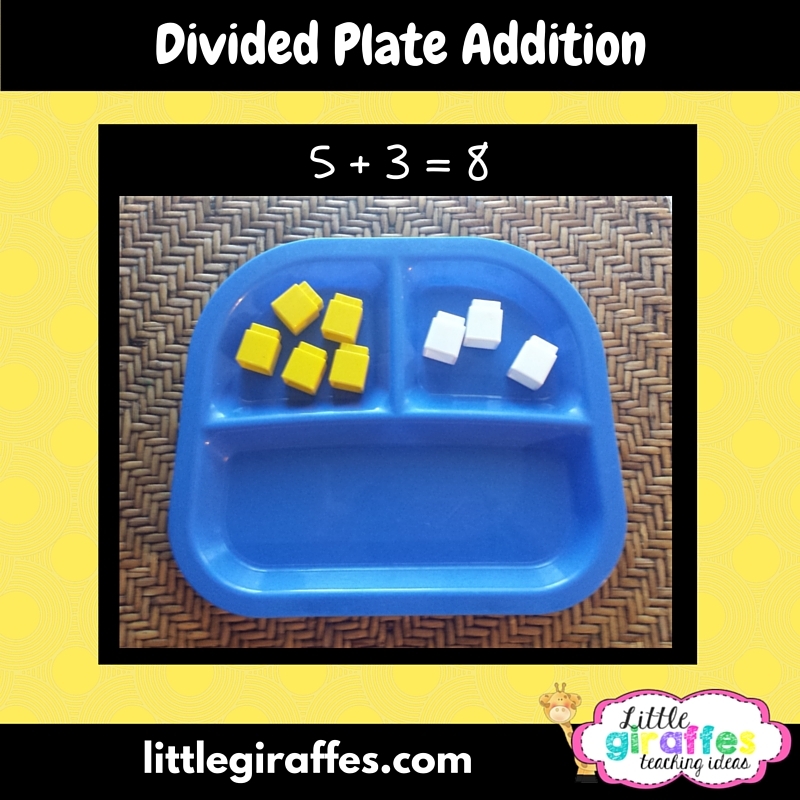 A plate divided into three sections can be used to illustrate both addition and subtraction. For addition, put manipulatives in both small sections (5+3). Move all of them down to the larger bottom section to show the sum. For subtraction, begin with all of the manipulatives in the large section and then remove some to the smaller section to find out how many are left. Use candy to act out and record addition problems. The addition workmat is from Math Their Way. Place stickers with numbers in the bottome of an egg carton. Place 2 small erasers in the carton and shake it up. Open and write and addition problem about the tow numbers where the erasers fell. For example, 2+4=6. Sing songs or read books to act out subtraction problems. Use teddy grahams and a bed workmat while singing Roll Over to subtract one each time. The children below were acting out Five Green and Speckled Frogs, taking away one frog during each verse. He is using an animal plate and animal counters to solve the addition problem 3 + 1. He put 3 counters in one paw and 1 counter in the other paw. She did the same thing on this plate, but she first put the counters in the animal’s ears. Then she moved the counters down to the face and counted them for the total. Record different combinations of unifix cubes to make sets of each number. This recording sheet came from math Their Way. We used this number line to practice adding one more to each number by moving the frog one space each time. We learned that when you add one to any number the answer is the next number you would count. This pocket chart is a Lakeshore product. 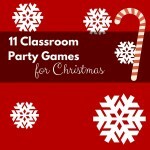 Write the numbers from 0-10 on the chalkboard or on a shower curtain. Divide class into teams and give each team a fly swatter. Call out an addition problem and have the first team member “swat” the answer. Continue playing, giving each team a point for correct answers. Give each partner group a lunch bag with 10-12 unifix cubes in two colors (5-6 of each color). Have each child reach in and grab a handful of cubes, pull them out, sort and count each color. Have them write the number sentence. For instance if someone pulled out 4 red and 4 blue cubes, they would write 4 + 4 = 8. Then the next child takes his turn. I find it is helpful for children to write everyone’s equation as it gives them something to do while waiting for their turn. You can do this as a small group activity as well. Use number cards that also have items to count corresponding to the number on the card. Play it first like War for number recognition and comparing sets. Then play it again by using two cards that they must add together. It is like war: whoever has the highest number or sum, wins all the cards. Person with the most cards wins the game.